Those who’ve had their eyes on the second-generation Galaxy Note and were waiting for a price drop may be excited to hear the phablet’s price has dropped. The Titanium Gray version of the device is available for purchase through Amazon wireless at $149.99 for new Verizon customers. Customers need to sign a two-year contract with Verizon for getting their hands on Samsung’s highest selling phablet to date. 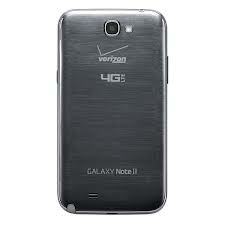 The white version of Note 2 is available for $199, with the same two-year contract signing requirement. Galaxy Note 2 has a giant 5.5-inch HD AMOLED touchscreen display with a resolution of 1280 x720 and a 16:9 aspect screen ratio. It comes with the stylus S-Pen and new features like S Pen Air View and Easy Crop. Android 4.1 Jelly Bean is pre-loaded on the device. Do you like the Galaxy Note 2 phablet? Were you waiting for a deal?